Thousands of seasonal revelers will descend upon Yaletown this month as the neighbourhood welcomes back downtown Vancouver’s sweetest winter festival, CandyTown, on November 22. 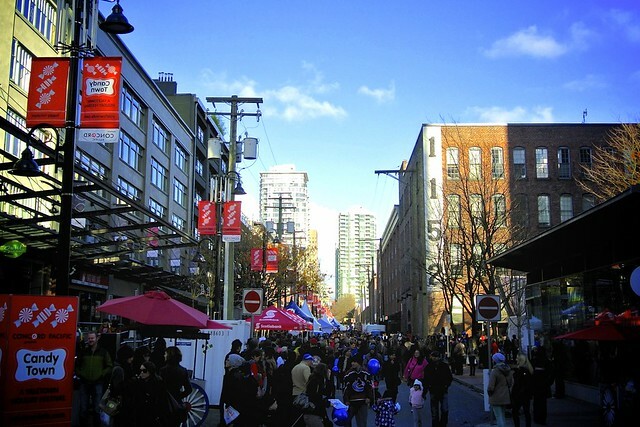 The free, family-friendly outdoor festival, which drew around 15,000 visitors last year, is hosted and produced by the merchants of Yaletown through the Yaletown Business Improvement Association. CandyTown will draw on a holiday candy theme to deliver a fun, memorable day for kids of all ages, from families with young children to groups of adults looking to get into the holiday spirit. Experience Vancouver’s Yaletown heritage district transformed into a winter wonderland! 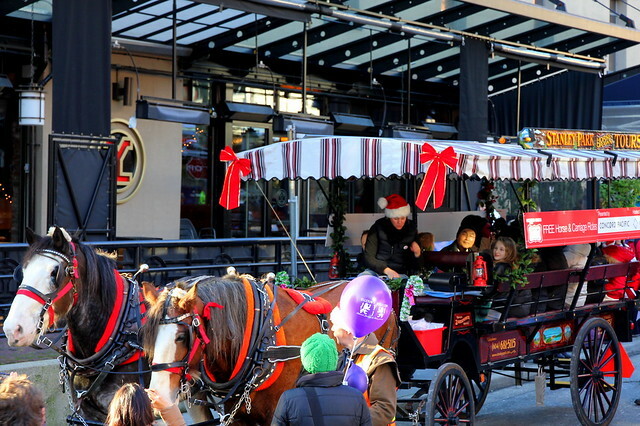 Little ones will delight in visiting Santa and the Ice Queen at the North Pole (noon to 7 pm, Bill Curtis Square), taking a horse-drawn carriage ride (sponsored by Concord Pacific) from Salsa and Agave on Pacific Blvd. (the 15-minute ride circulates Pacific, Hamilton, and Davie streets) and participating in crafts, face painting, and balloon twisting at the Starlight Children’s Foundation tent. See ice sculptures created live at Bill Curtis Square, pose for a photo op with Santa and other seasonal characters, craft unique candy necklaces and jewellery, and enjoy holiday music courtesy of roaming musicians, street buskers, and music tents. The Grey Cup Festival will also pay a visit to hand out candy, mini footballs, and other treats. And because it just wouldn’t be a Christmas celebration without festive trees, guests can pick out a tree to take home from the Yaletown Rotary Club lot. A popular attraction last year, the All I Want for Christmas Gift Market will brim with tempting treats and gorgeous gifts. Food vendors include Damien’s Belgian Waffles, Half Baked Cookie Co., Mancakes Bakery, Maples Sugar Shack and many more. The market is the perfect place to get a head start on holiday shopping, thanks to Vancouver Candle Company, Standout Boutique, Elana Lauren Designs jewelry, and 3H Craftworks. Lindt will also have a piñata to launch their seasonal Lindor chocolate line. CandyTown attendees are also invited to donate to the BC Children’s Hospital and the Starlight Children’s Foundation onsite at the festival. Tickets: Free event; visit the YBIA website for schedule. Photos courtesy of Yaletown BIA.